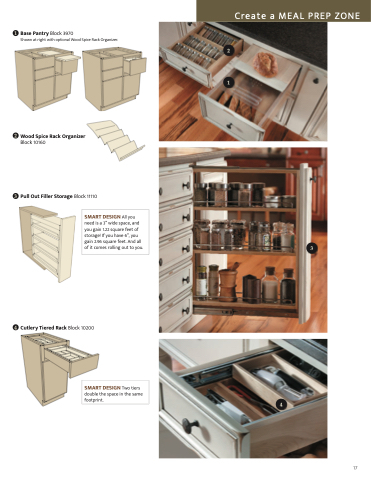 Shown at right with optional Wood Spice Rack Organizer. SMART DESIGN Two tiers double the space in the same footprint. SMART DESIGN Wire baskets are removable for easy cleaning.